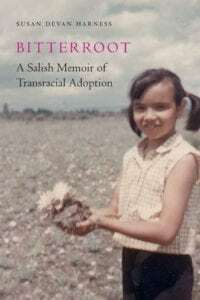 Last month, Carter Meland, Ph.D., wrote a fabulous review for Bitterroot: A Salish Memoir of Transracial Adoption, noting that there are many ways to be Native. Transracial adoption was one of them. This is an important point to make. Our families and communities have become fragmented due to the atrocities committed by the U.S. government through their implementation of various assimilation policies and practices over the past 200-plus years. As a result, we have forgotten who ‘we’ are and have fallen into the authenticity game, labeling who is ‘real’ and who is ‘not real,’ stepping into conversations that have been left behind, like landmines, by the colonizers. Please, take a moment to read Carter Meland’s review in the Star Tribune.